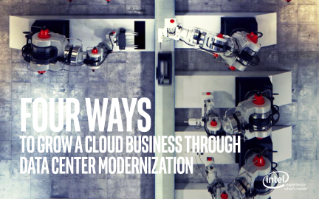 Learn four ways to grow your cloud services business through data center modernization. These four strategies can provide a helpful lens for cloud service providers (CSPs) reviewing the effect of data center modernization. In this paper, you will see how updating the data center can have an impact on the bottom line, and help you to create a foundation for a sustainably growing ...business. The context for this discussion is an intensely competitive market for cloud services, including Infrastructure as a Service (IaaS), Platform as a Service (PaaS) and Software as a Service (SaaS). Hyperscale cloud providers dominate some parts of the market, and differentiation is vital in order to compete. Increasingly, there are opportunities to offer specialized services, such as video encoding or stitching and AI- enhanced workloads on demand. These services require more performance from the underlying computing platform, though, and will require modern hardware to support with competitive efficiency. Live-streamed video content must be transcoded in real time into a format appropriate for the destination device, placing a heavy demand on the server that is sensitive to both absolute latency and sustained throughput. Artificial intelligence techniques are increasingly utilized to enhance the functionality or profitability of existing workloads, such as to improve the relevance of ad placement in pursuit of higher click-through rates, but the compute intensity of such algorithms materially slows server throughput performance. This effectively decreases the number of transactions that the infrastructure can support, and proportionally increases the effective cost per transaction. It is a challenge to balance the need for innovation against the need for cost-effective performance. In this paper, we will show how data center modernization can help.